Do you seek stillness and inspiration in your quiet time? 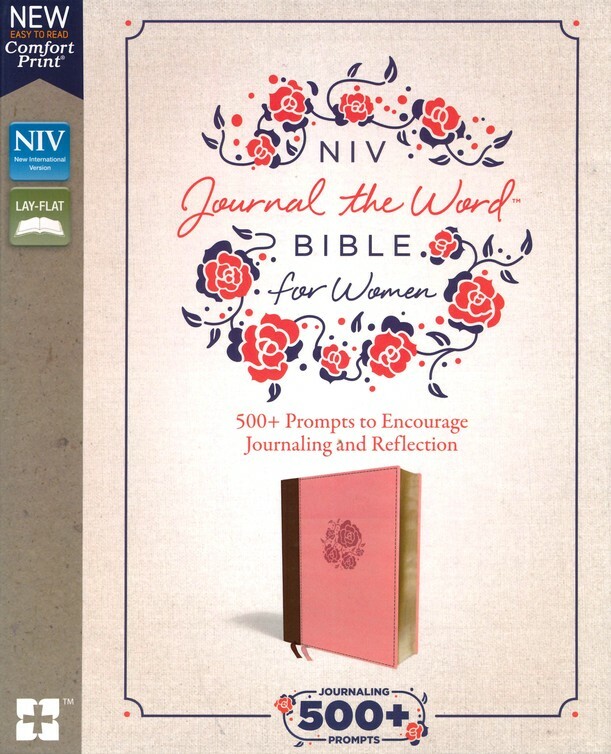 The NIV Journal the Word™ Bible for Women guides you through God’s precious Word with reflections and thought-provoking questions placed beside Scripture. Explore God’s Word for you and express your heart in the wide margins with room for responses, journaling, and artistic expression. 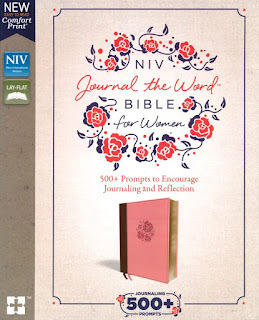 This is a beautiful New International Version (NIV) Bible! It comes in a paper slipcase, which would be very nice for gift giving. The Bible itself is cloth with a red and gold flower design on the cover along with the words: "My soul finds rest in God" (Psalm 62:1). There is a presentation page on the front endpaper (again, great for a gift). Then there is a Table of Contents and an Alphabetical Order of the Books of the Bible. This is a unique feature that you don't see often in Bibles, but I find it very helpful. As you read the Bible, you will find journaling prompts in the margins, along with ruled lines where you can journal and respond to the prompts. There is ample room to write and journal at length. The text size is good for reading (not too small), and this is a Red Letter edition of the Bible, with Christ's words in red. At the back of the Bible there is a Table of Weights and Measures as well as a Subject Index and some ruled pages for notes. I find the format of this Bible, with the emphasis on journaling, very unique and helpful. I think journaling as you go along with reading will bring new insights and prompt deeper thought on God's Word. I recommend this lovely edition of the Bible for personal study or for a special gift. I received a copy of this Bible from Booklook Bloggers.